Vegan probiotics contain bacterial cultures of L. acidophilus and other so-called "friendly" bacteria without the use of dairy products. Prebiotics and probiotics are increasingly under scrutiny as healthy ways to improve digestive and immune system health. Bacteria are often thought of as the bad guys in the world. After all, bacterial infections once killed thousands of people each year before the advent of antibiotics, or medicines that kill bacteria. So it may come as a surprise that your body must have some colonies of bacteria in order for you to stay healthy. These healthy bacteria break down foods, digest food elements, produce vitamins, and suppress colonies of other microbes that threaten to take over, such as Candida Albicans (yeast). Without the good bacteria, you would become sick very quickly. If you've ever taken an antibiotic medicine and developed stomach upset and diarrhea, chances are you've experienced the effects of too little good bacteria. Antibiotics cannot distinguish among friendly bacteria and harmful bacteria. The medicine just kills all types of bacteria. The result is that while harmful microbes are killed, thus stopping the infection, healthy bacteria colonies are also destroyed. For many centuries, people have consumed fermented foods. Fermentation helps keep foods edible longer. This was essential in bygone eras before the days of refrigeration. Typical fermented foods include yogurt, cheese, kimchi (sauerkraut) and many beverages. Today, people enjoy these foods both for their taste and nutrition, but also for their beneficial prebiotics and probiotics. The term prebiotics may be new to you. Prebiotics are the carbohydrates that probiotics, the friendly bacteria, need in order to grow and thrive. Most of the time you don't need to worry about consuming prebiotics. Foods and supplements that are probiotics usually contain what the bacteria need to grow or the proper prebiotics. While you can obtain some probiotics from food sources, many people take supplements to increase the quantity of healthy bacteria in their bodies. 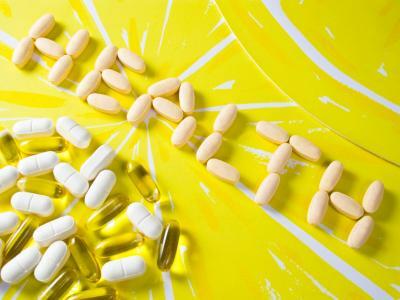 Whether you've just finished a course of antibiotics and want to avoid side effects by replenishing the good bacteria or you want to bolster immune system health, probiotic supplements can help. These are pills, capsules, liquids or powders that contain a food source for the bacteria, strains of the healthy living bacteria, and sometimes other nutrients too. There are many reasons to use probiotics. Researchers have only proven some of these, but since probiotics have few side effects, they are worthwhile trying. The most common side effect of suddenly taking probiotics is gas. But here's the catch. Most of the probiotic supplements on the market today are made using dairy sources. Dairy is inexpensive and provides and easy source of the culture medium needed to feed and grow the bacterial colonies. But for vegans, who do not consume any animal products, it's not acceptable to choose a conventional probiotic supplement. Vegan probiotics are required. It's important to read the label of any supplement touted as vegan. Avoid capsules, since many capsules are made with gelatin, a by product of the slaughter of animals. Vitanet offers a vegan probiotic supplement called Peaceful Planet Probiotics which includes healthy bacteria in a vegan formula. The formula is free from all dairy and animal products and is suitable for vegans, vegetarians and anyone seeking to avoid dairy products. Another formula you may wish to try is Probio Active. Although sold as a vegetarian formula, it appears to be vegan, too. To find more vegan probiotics, visit your local health food store, vegan or vegetarian co-op, or look for animal-friendly products online.